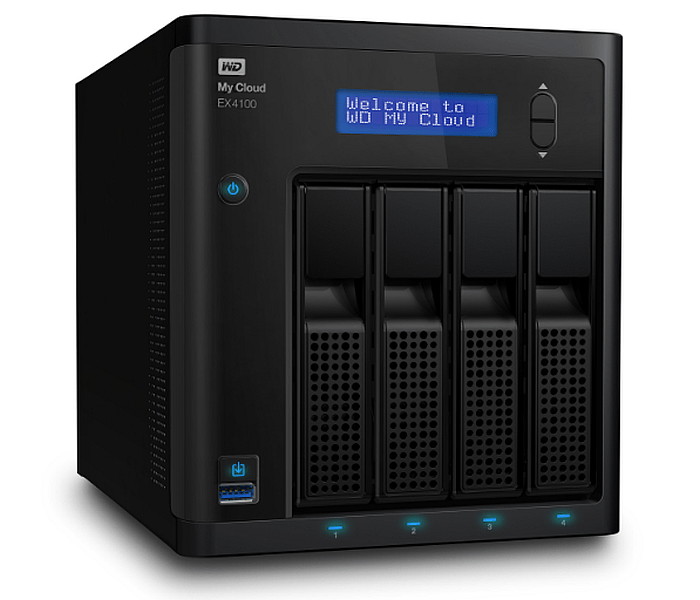 With powerful CPUs and features for scalability and security, the two series of new Western Digital NAS (called My Cloud Expert Series and My Cloud Business Series) are designed with creative professionals and small business users in mind, and will arrive on the market this month. The offerings cover a middle ground for WD, filling in a gap between the Sentinel series—geared for enterprise users and based on Windows Storage Server—and the My Cloud series for home users, which have both been on market for over a year. The price points will reflect that in-between space as well; the My Business Series will range between $1,100-$1,600 depending on whether the NAS is purchased equipped with 6 TB WD Red HDDs. Note that both My Cloud Expert and My Cloud Business use custom Linux operating systems, and can replace a server facing Windows Server 2003 end of service, especially if that server is used in a file sharing capacity. The My Cloud Business Series has Active Directory support. With My Cloud Expert and My Cloud Business, users get ramped-up CPU performance, as well as a clean UI experience that is compatible with Windows, OSX, Android, and iOS. The dashboard is accessible via Web browser or mobile app, and can sync with other cloud services including Dropbox, One Drive, and Google Drive. The clean, minimalistic UI is shown below. Here are other features that WD hopes will stand out for creatives and small business users looking for an affordable NAS this year. Intended Use: Video streaming, backup, and storage. Digital hub for large files, built to support 4K. 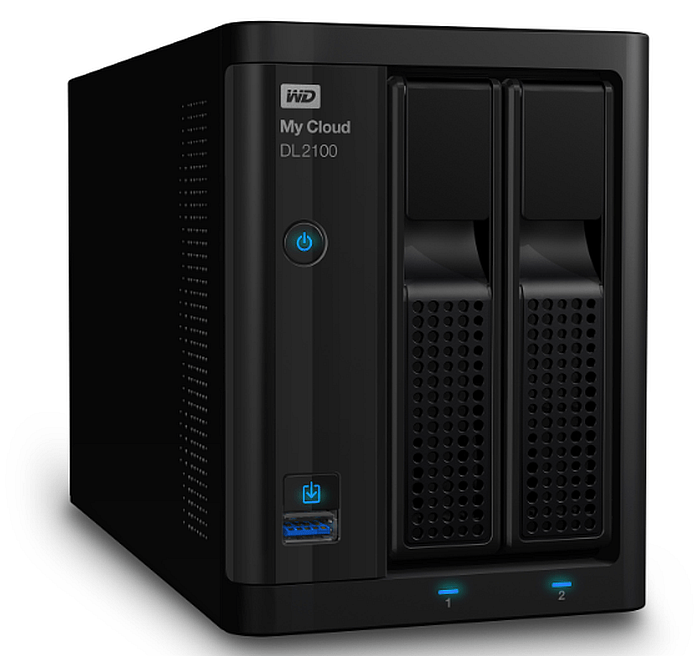 Capacity: Up to 24 TB, depending on the size of HDD and RAID configuration deployed. Processor: Dual-core Marvell ARMADA 385 and 388 respectively. This is a high-end processor for a media NAS of this class, meant to support simultaneous HD streaming to multiple machines over a network. A higher end processor means faster read/write speeds for backups and data transfers. Intended Use: Stores business data in a secure, centralized location accessible from anywhere. Processor: Dual-core1.7 GHz “Avoton” Intel Atom and 1.7 GHz “Rangely” Intel Atom, respectively. These processors are powerful enough to support virtualization and deployment as part of a storage area network (SAN). Enterprise Security Features: Windows Active Directory support; 256-bit encryption; integrated FTP, WebDAV server, SSH Shell. Both the My Cloud Expert and My Cloud Business Dual have additional features that pertain to deployment in a professional setting. Scalability via dual network interface cards (NICs): Allows multiple NAS units to be daisy chained at the network link. 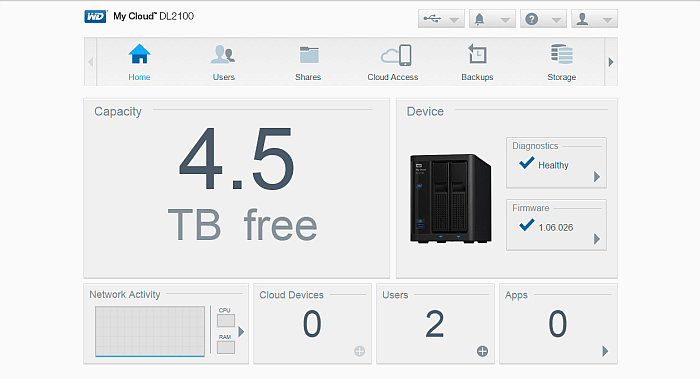 This opens up options different RAID configurations. Select models will be sold WD Red hard disk drives pre-installed. Redundant power supply support lets you designate a backup for added reliability. Check back to NeweggBusiness Desktop NAS store for pricing and availability as the new Western Digital NAS become available in the coming days. Two new Western Digital NAS series are designed with creative professionals and small business users in mind.